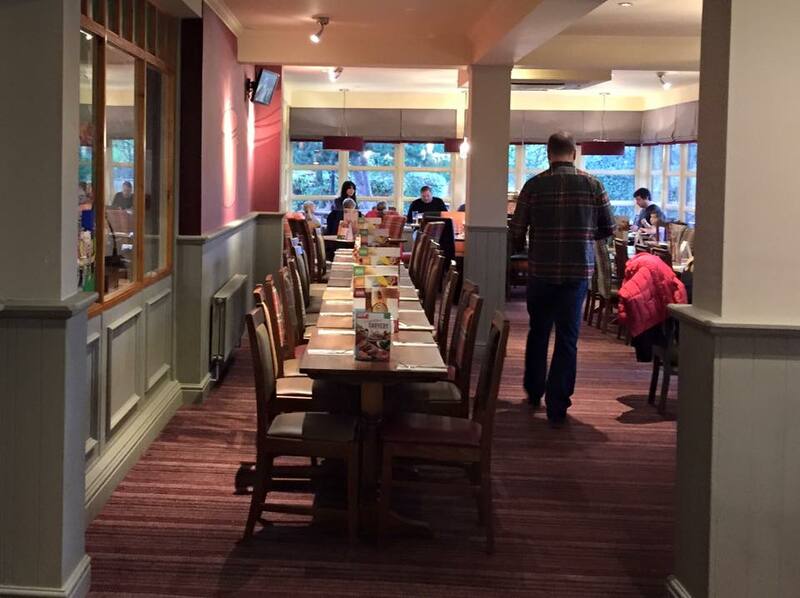 I will be completely honest when I say a Brewers Fayre pub is not somewhere you would normally find us on a weekend. I do prefer supporting independent restaurants that cook delicious homemade food. However we were invited along to Brewers Fayre Dunelm Ridge in Pity Me and after reading a lovely review from Katie Jane Online and browsing the photographs of the fantastic looking refurbished Dennis the Menace themed play area, I knew my children would love it and after being stuck indoors all weekend I was actually looking forward to our Sunday lunch. First impressions of the pub were good. It was large, clean, modern, warm and welcoming and there weren't hundreds of screaming kids running around like I'd imagined either. It was all very civilised. There was a wide range of seating available including family booths, longer tables for bigger parties, tables in quieter areas with views of the garden and even the option to eat in the play area should you wish. Thank goodness my three are old enough to play by themselves and we could choose a table away from the enclosed play zone. 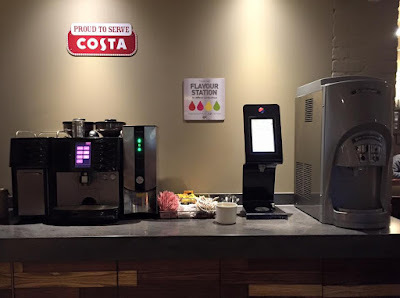 I liked how each area was fitted with it's own tv screen so you could keep an eye on your children whilst you enjoyed a drink. Perfect! We couldn't help but admire the swanky drinks zone which is all operated via touch screen. 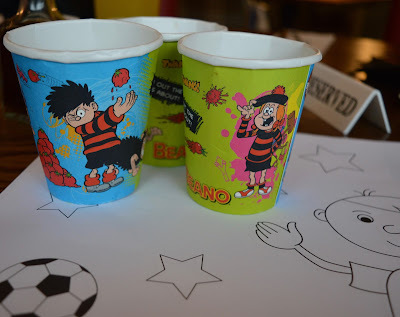 You can design your own drink combinations from over 30 options and my three loved giving this a go and creating their own special drinks. Orange Tango with a hint of cherry anyone? There is also a nice selection of alcoholic drinks available from the bar including wines and cask ales. The enclosed play area is unsupervised but there are staff on hand and in the same room as the children. You sign your children in and provide your table number - each child is then given a wristband with their table number on it which offers additional peace of mind. 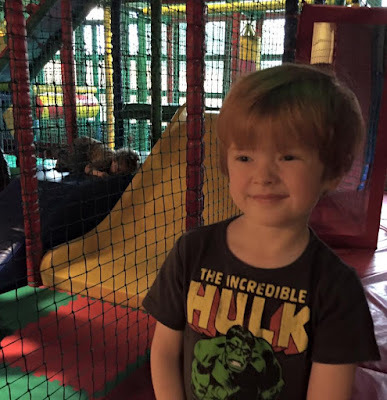 The play area costs £3 per child for 90 minutes which I think is very reasonable considering our local soft play has been known to charge £9 in peak times. 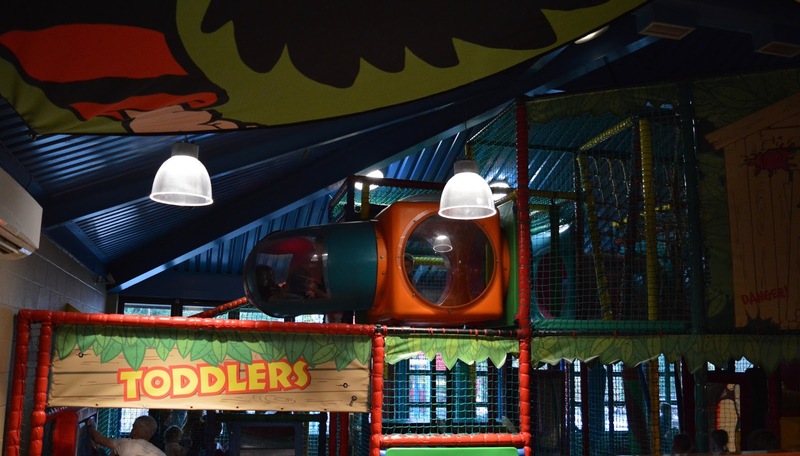 Your child will need to be under 140cm to join in and there is a special toddler zone for under 4's too. 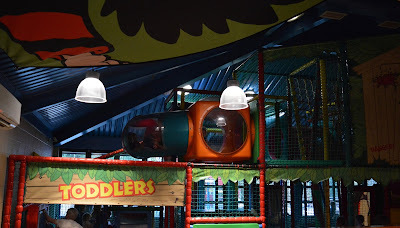 I really appreciated that the staff explained to my three children that under no circumstances could they step foot in the toddler zone and if they did they would no longer be allowed in the play area. 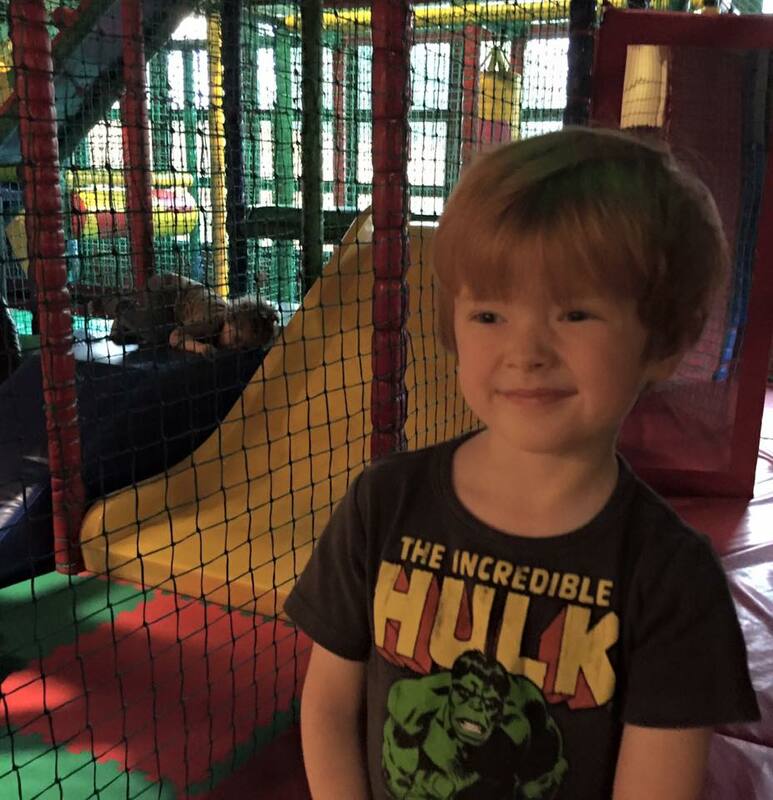 I remember feeling the fury when my three were younger and couldn't really enjoy soft play as the younger areas were often overrun by older kids. 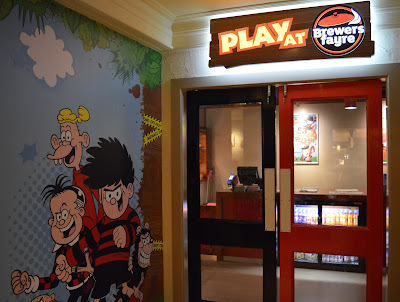 It's refreshing to see Brewers Fayre take this stance and I wish more soft play areas would follow. The kids absolutely adored the treehouse play area and have asked to go back soon. I also noticed signs stating there are extra activities for toddlers 9:30am-3pm Monday-Friday and after school for kids 3:30pm-7:30pm. 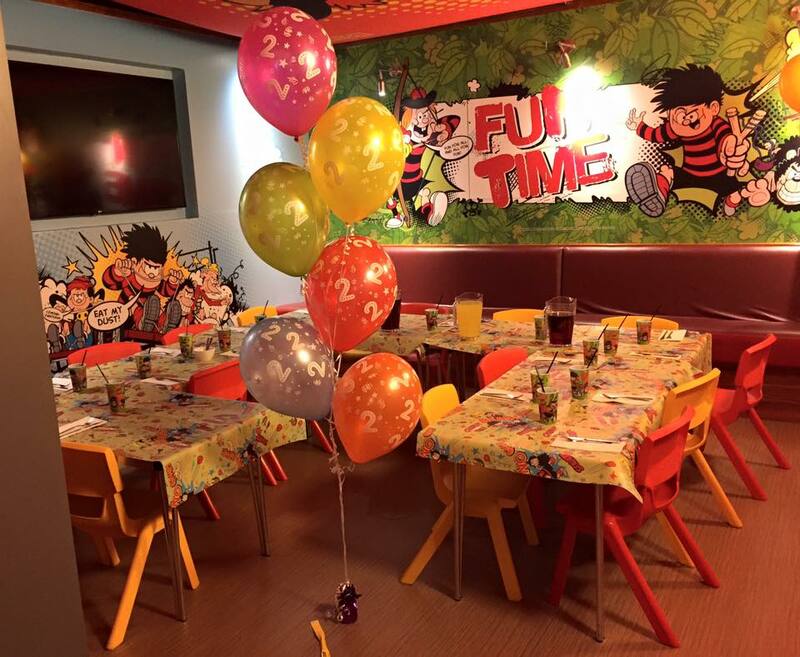 There is also a fantastic party room joined onto the treehouse play area which holds inclusive parties for only £8.99 per child. Bargain! 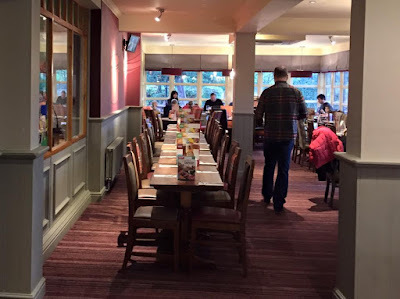 I had read mixed reviews about the Sunday carvery at Dunelm Ridge and I wasn't sure it was worth paying £9.99 for tomato soup and a carvery. Steve decided to order this though and I must admit I did have food envy. 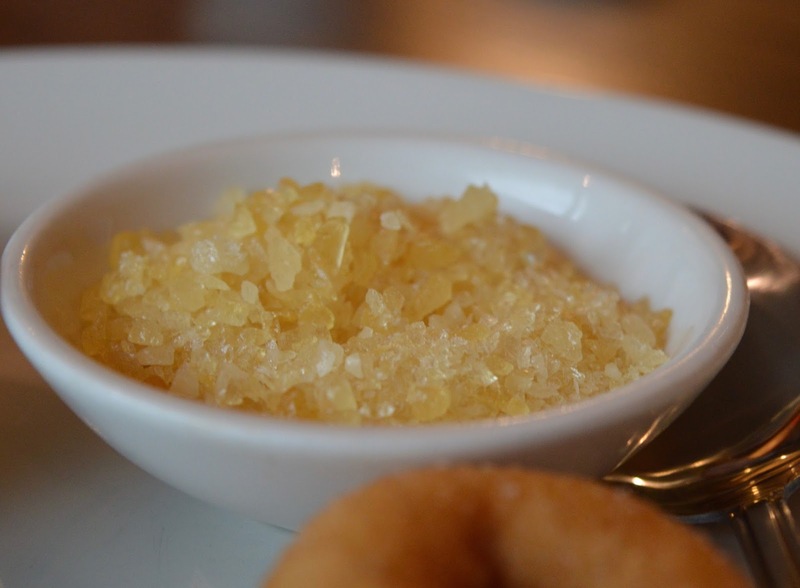 It looked delicious and he said it was very enjoyable too. 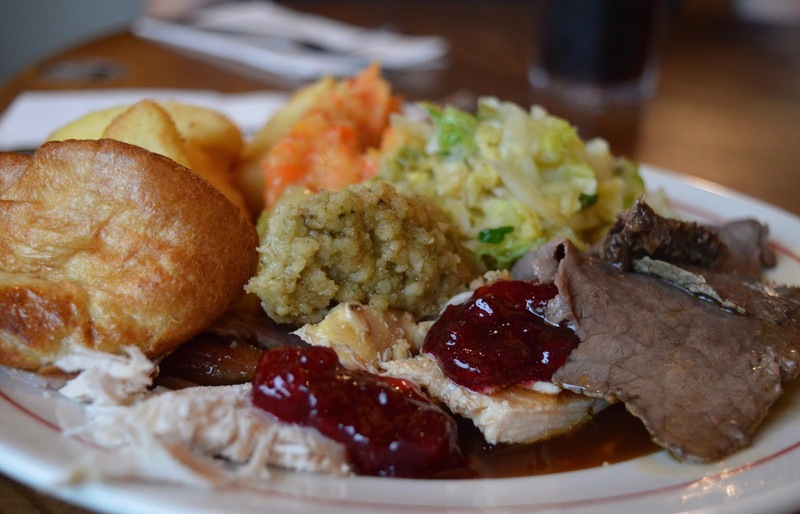 There was a selection of three tender meats plus a wide range of sides including root mash, cauliflower cheese and red cabbage. The only comment Steve did make was that the gravy was a little thin. I'm still not convinced the carvery is the best value at £9.99 (when the likes of Crown Carvery offer the same for around £7 and kids eat free) however it certainly wasn't a bad effort at all and it was perfectly satisfying. 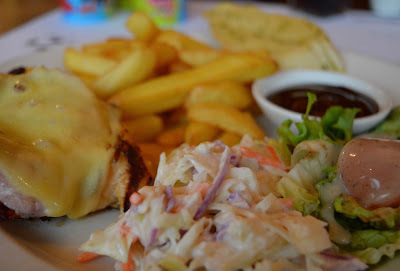 The kids menu was the usual £4.49 for 2 courses (drinks charged separately). 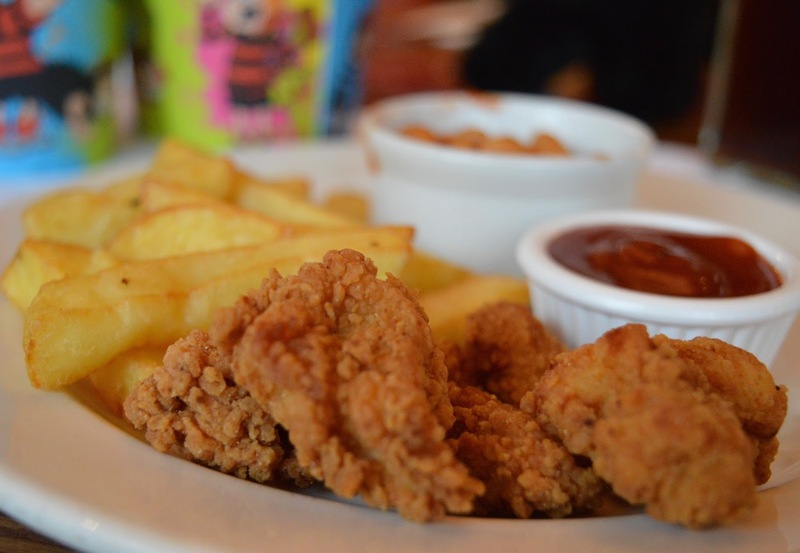 All three chose popcorn chicken for their mains and although not the best quality, it was no different to me serving them chicken dippers and oven chips at home which I will admit from doing every now and again. They loved it and there were clean plates all round. I went for the smothered chicken at £9.79 which certainly wasn't the best value meal I've ever eaten and I do prefer the version from Sizzling Pubs at half the price. I wish I had ordered the Sunday lunch! 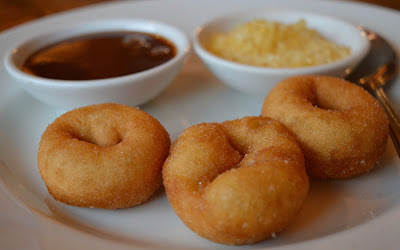 Onto dessert and our youngest two ordered the dinky donuts which were served with melted chocolate sauce and poppin' candy. They LOVED it. 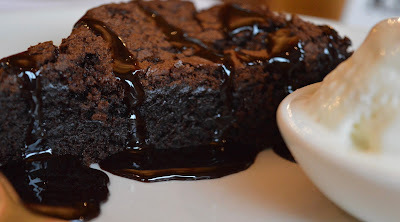 I was so jealous of Harry's chocolate brownie and vanilla ice cream - it looked deliciously soft. We'll have to take his word for it that it was indeed delicious though as annoyingly, he wouldn't let me have a try. 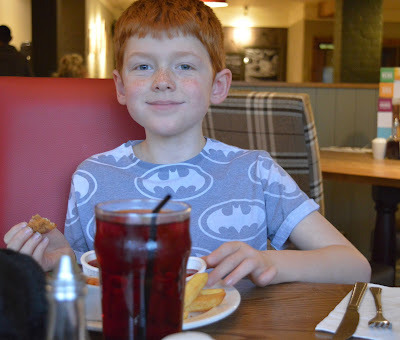 We paid £51.75 for two adult main courses, 3 x 2 course children's meals, 5 x unlimited drinks and 3 x entry to soft play which I did not think was badly priced at all. I always have it in my head that Brewers Fayre is overpriced but to be honest I don't think this was the case with today's visit. 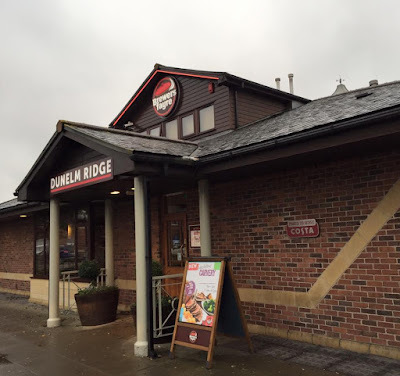 I am still not sure I would choose to dine at our local Brewers Fayre (as it doesn't have a play area) however I do think I would travel to Dunelm Ridge. The children really enjoyed the treehouse play area and this is a huge selling point for me. 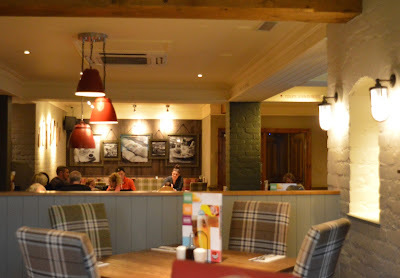 I also loved the light and airy feel of the pub and it was nice to enjoy a meal in a family pub without feeling that you are only there because you have kids if that makes sense. Dunelm Ridge is not too far from Beamish, Diggerland and Adventurelands and is the perfect spot to end a family day out. I will also say that all of the staff were lovely and not just bored teenagers who didn't pay an interest. Everyone we encountered took the time to ask if we needed anything and one waitress even said she would go and fetch our children from the play area when our food arrived at our table to save us getting up. Lovely to see staff going the extra mile like this and definitely a reason for us to stop by again. 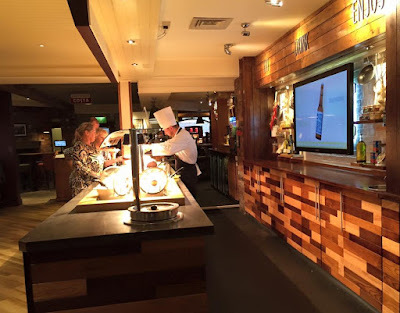 Next time, I will definitely order a Sunday lunch. 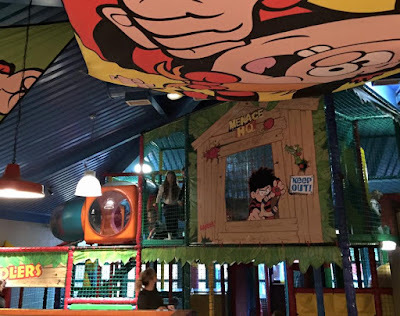 My kids loved the Brewers fayre play area and I believe they've made a massive investment recently into ensuring they are all up to date, we were surprised at the value for money 6 of us are under £50 in the summer !!!! It sounds like you had a lovely meal...Ahh! I said the same about the gravy last time we had a meal at out local Brewers Fayre....That play area looks fantastic! A lot bigger than the our local one.